(NewsUSA) - While America may not appear to have the kind of hunger that is pervasive in other countries, that's not to say it doesn't exist. Hunger remains a concern for millions of Americans, and for people who are "food insecure," the average reported need for food has increased, based on data from Map the Meal Gap 2017, a new report released by Feeding America, a non-profit hunger-relief organization. The report describes the cost of food and food insecurity in communities across the United States. Food insecurity is defined by the U. S. Department of Agriculture (USDA) as a lack of access, at times, to enough food for an active, healthy life for all members of a household. According to the USDA, the number of Americans identified as food insecure decreased from 50 million in 2009 to 42 million in 2015. 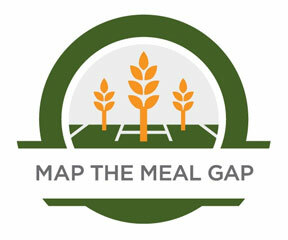 Still, Map the Meal Gap finds that the individuals who are food insecure report needing an average of nearly $530 more per person in 2015 to afford enough food, representing a 13 percent increase since 2008. "This is grim news," says Diana Aviv, CEO of Feeding America, in a statement. "It is disheartening to realize that millions of hardworking, low-income Americans are finding it increasingly difficult to feed themselves and their families at the same time that our economy is showing many signs of improvement, including a substantial decline in the number of people who are unemployed." The online version of the report features an interactive map, and key data points include estimates of the number of food-insecure individuals at the community level, the percentage of these individuals who may or may not qualify for federal nutrition programs, such as SNAP, formerly known as food stamps, as well as information about average cost of a meal in these areas. Consider this: According to the report, even states such as North Dakota, where the rate of child food insecurity is lowest, 1 in 11 children are estimated to live in food-insecure households. In addition, food insecurity tends to be more common in rural areas versus urban areas. "Feeding America is particularly concerned about children who struggle with hunger because of the devastating and sometimes life-long consequences caused by lack of adequate nutrition," Ms. Aviv says. "Children are our most vulnerable citizens." The report uses data from the U.S. Department of Agriculture, U.S. Census Bureau, U.S. Bureau of Labor Statistics, as well as food price data and analysis from the information company Nielsen, a global provider of information and insights. The study was supported by The Howard G. Buffett Foundation, Conagra Brands Foundation, and Nielsen. Visit feedingamerica.org for more information about hunger, local member food banks, and opportunities to help.